It’s a profound question that compels us to think deeply about the nature of existence. Or does it? If you’re reading this blog I’m guessing you’re more likely to be a mountaineer than a philosopher (and if you’re a philosopher, why are you here?). So let me ask the question another way. If a climber reaches the top of a mountain and no one is around to see them, have they reached the summit? Well, I suppose it depends whether you’re the climber in question. If you are, then you have, but if you’re not, then you can’t be sure. Lots of people make false summit claims (for all sorts of reasons, as I explored in a previous post), so if you’re still following my logic, here are some of the ways you can tell. In 1786 a goat herder from Chamonix called Jacques Balmat thought he had identified a route up Mont Blanc, the highest mountain in Western Europe, which at the time was still unclimbed. But he had a problem. He was only a goat herder, and these were the days when exploration and adventure needed to have a solid scientific purpose in order to be considered valid. This meant he could be accompanied by a brass band to the summit if he wanted, who could serenade the people of Courmayeur across the border in Italy to the tune of the Marseillaise, but it would have all the respectability of Napoleon Bonaparte turning up at a brothel in Moscow, dropping his trousers and farting the 1812 Overture through a clarinet. 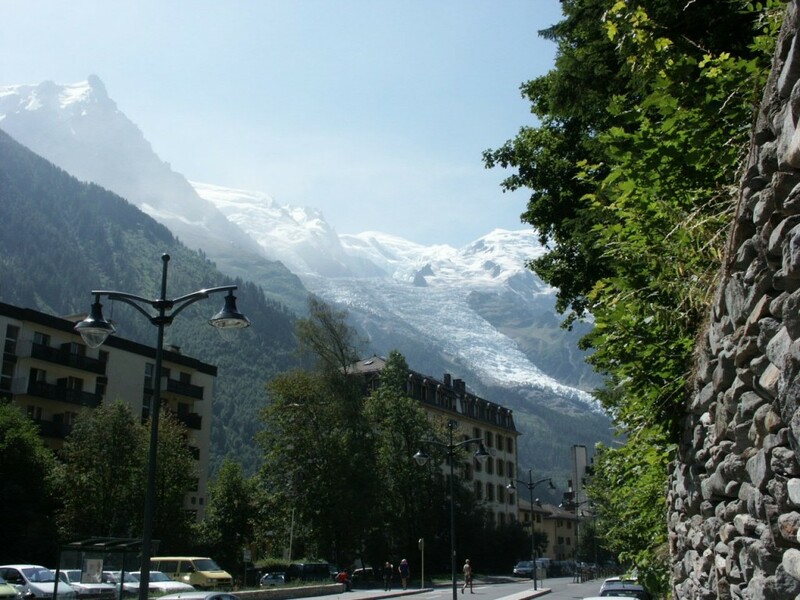 So he enlisted the help of Michel-Gabriel Paccard, a young Chamonix doctor, and alerted trustworthy friends in Chamonix to look out for them close to the summit at five o’clock the following day, 8th August 1786. It was a remarkably precise estimate, for they were seen by observers with telescopes to step onto the summit together at precisely 6.23pm. Some people go to extraordinary lengths to ensure anyone who needs to can see them with the naked eye, and their methods don’t always work. When a group of gold prospectors made the first ascent of Denali’s North Peak in 1910 they carried a 14 foot spruce pole all the way to the summit with them and hung the American flag from it in the hope it could be seen from the nearby town of Kantishna. 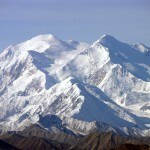 Unfortunately nobody could, and for three years their ascent was disputed until a team led by Hudson Stuck made the first ascent of Denali’s main summit and saw it on the way. Potential fabricators should bear in mind eye witnesses are as capable of disproving a summit claim as they are of verifying one. I’ve twice witnessed climbers telling porkies from a position much lower down the mountain. In 2009 I was crossing the Gasherbrum Cwm 2000m below Gasherbrum II’s summit when I saw two climbers traversing beneath the summit pyramid, several hours below the summit, at a time they later claimed to have reached it. The following year I watched several members of a team of commercial climbers turn back on Baruntse’s summit ridge from base camp in the Hongu Valley, Nepal. 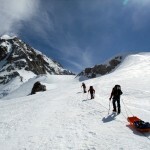 The team in question later claimed on their website that all their team members had summited. It’s not always possible to ensure somebody’s watching you, but if you can write an accurate route description, then anyone who has climbed the same route can vouch for it. For example, some people still dispute the 1960 ascent of Everest’s Northeast Ridge by a Chinese team, but I explained in a previous post how I had no doubt about the ascent myself after reading their account of it, which tallied with my own knowledge of the route. Conversely, when he reached the summit of Denali in 1913, Hudson Stuck had no doubt Frederick Cook’s claim to reach the summit in 1906 was false. Cook described seeing the St Elias mountains far to the south, for which he would have needed the vision of an eagle with a pair of binoculars, but he failed to describe Mt Foraker dominating the view right under his nose. Of course, these days most ascents are repeats, and any fool can cut and paste somebody else’s route description off the internet, so unless it’s a first ascent this method of proof is losing its value. It doesn’t always work, either. In a post a couple of weeks ago I explained how Toshio Imanishi’s route description for Manaslu bore no relation to my own recollection of the climb. Only by looking at our respective summit photos could I be certain we had both stood on the same spot. Which brings me to the next method. It’s hard work writing a route description when you can just click a button on your camera to prove you’ve been there. Not everybody remembers, though. Famously there is no photo of Edmund Hillary standing on the summit of Everest after he made the first ascent in 1953, though he did take a photo of his rope mate Tenzing Norgay. This method isn’t entirely foolproof either. I’m wearing an oxygen mask in my own Everest summit photo, and although you can have no doubt about where I’m standing with the distinctive summit of Makalu behind me, I suppose it could be anyone behind the mask. By contrast one of my team mates that day, Mark Dickson, remembered to take his mask off, and you can see it’s clearly him, but he forgot to position Makalu behind him, so he could be sitting among a tangle of prayer flags on any old snowy knoll. Of course, these days I suppose it’s possible to Photoshop yourself into somebody else’s summit photo. Thankfully most people who are tempted to doctor their photos aren’t that bright, and make some fundamental errors. The aforementioned Frederick Cook found a tiny little snowy summit some way south of Denali to fake his summit photo, and not only did it look nothing like the true summit, but somebody was even able to find the exact spot a few years later. 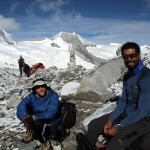 The other day a friend alerted me to the website of this funny chap, who has decided to fake an ascent of Everest by stealing all sorts of photos from other people, but unfortunately he can’t seem to make up his mind which route he climbed, as there are pictures from both north and south sides of the mountain. People are getting more creative with their summit photos nowadays. If you arrive on a misty summit in the Himalayas with fog around you, then you’re going to have a job convincing some people your summit photo wasn’t taken in Scotland. 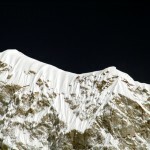 To prove their location climbers have taken to photographing their altimeters or the screen of their GPS. They even save waypoints with their precise latitude and longitude coordinates to show to people when they get back down. I’m no expert on satellite navigation systems, but I suspect this particular method is also susceptible to cheating. A summit certificate should do the job, shouldn’t it? Here’s my Everest one, stamped and signed by the China Tibet Mountaineering Association. The most reliable way of all is the old-fashioned way: to gain a reputation for fair play, honesty and integrity so that people simply take you at your word. As I was sitting in my tent at Everest Base Camp in Tibet a few days after reaching the summit, my expedition leader Phil Crampton turned up at my door with a summit certificate, stamped and signed by an official from the China Tibet Mountaineering Association (CTMA). 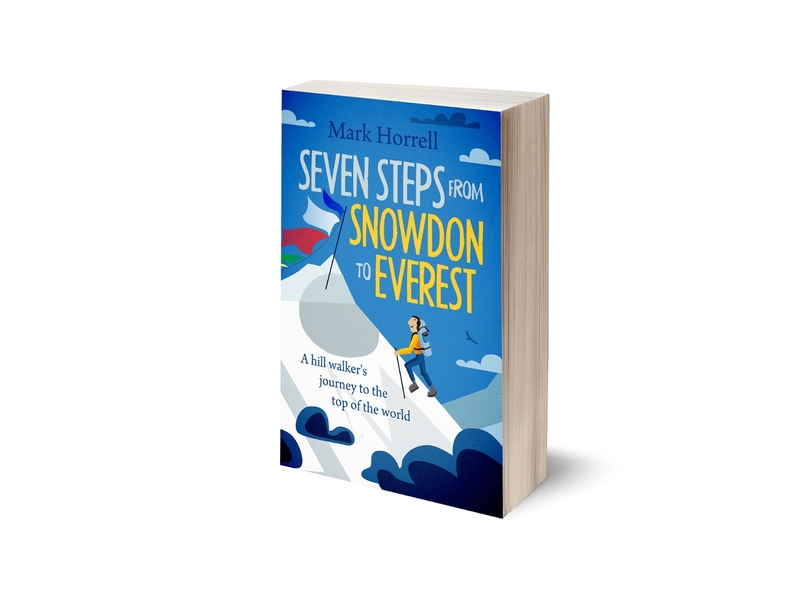 Phil knew which members of his team had reached the summit, as he passed most of us not far from the top, but nobody from the CTMA had any idea. But Phil had taught at the Tibet Mountaineering Guide School in Lhasa a few years earlier, and had trained many of the CTMA guides and officials. They knew and trusted him, and when he turned up at their camp with a list of names, they took him at his word and provided him with the necessary paperwork for each of us there and then. But in case you don’t believe him, I also have an eye witness, a route description, and a summit photo. None of these methods are foolproof, but usually a combination of them will do. My all time favourite summit photo remains this one, taken on top of Ben Vane in the Arrochar Alps of Scotland. What do you mean I took it in my back garden? So what’s your favourite summit photo? Another great story from Canada, Dean! My friend Thierry keeps badgering me to go to the Canadian Rockies – must get around to it one day. I had forgotten all about method number six: leaving a distinctive object on the summit. You’ve reminded me about the Chinese ascents of Everest from the north side. 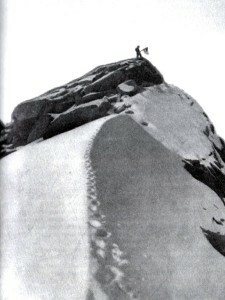 The first in 1960 was disputed in the West, so when they climbed it again in 1975 they left a ladder on the Second Step and a metal tripod on the summit. Their ascent was disputed again, but when Doug Scott and Dougal Haston climbed up the Southwest Face a few months later, what did they find at the top but the tripod. They’re still looking for the photo of George Mallory’s wife Ruth, which he said he was going to leave there in 1924. One of my “favorites” was the semi-recent claim by Christian Stangl of his K2 summit while attempting to bag the 2nd 7 Summits. Apparently he forgot that the background would betray his claim. BTW, I’m enjoying your Manaslu report. I’m about halfway through, currently reading it in instalments, and it’s bringing back some great memories! Yeah my TRs are long and detailed. I do this more for my own chronicle and for those crazy enough to read the entire thing 🙂 By the way, you came up often in conversations with Phil! Especially your incredible discovery of his heritage! Haha, I take it you mean this. That was Trish’s idea! I’m not the only person crazy enough to read the whole of your trip reports. They’re full of useful stuff all sorts of people find interesting. I frankly cannot understand where the glory is with fake summit claims. I had a solo attempt on a small one here in SE Asia, and I had to turn around (with 150M to go, according to guides and rangers at camp later in the day) due to trail landslide issues. It failed, yes, but I will not be able to live with myself with a fake summit claim. But since the mountg is a gentleman’s sport,I fail to understand the necessity to take pain for an effort,which was purely for self joy? Can I just clarify your question – can they claim it as a summit if they reached the summit and can prove it? Of course they can. The question answers itself. But I suspect what you are asking me is whether you should respect them for reaching the summit, if they had to be rescued on the way down? That’s a matter for your conscience, not mine. I have an immense amount of respect for my friend Robert when that happened to him – for both his honesty and dignity in thanking those who helped him. I certainly wouldn’t begrudge him his summit, as I know how much it cost him.